Budgeting is nobody's idea of a good time. It can help get your family's finances under control, though. As you decide what to budget in each category, you might wonder where you stack up compared to others. The average grocery budget for a family of two depends on a variety of factors: where you live, how you shop, what you buy and how often you go out to eat. If you're not sure where to start with budgeting for groceries, the United States Department of Agriculture provides some average numbers you can use. If your grocery spending is going over budget, there are some simple changes you can make to help keep things on track. Each month, the USDA publishes the average cost of food at home for different family sizes and shopping styles. In February 2018, the average monthly shopping cost for a family of two (aged 19 to 50) ranged from $384.40 on the thrifty plan to $763.50 on the liberal plan. You can also look at your grocery budget as a percentage of your overall budget. 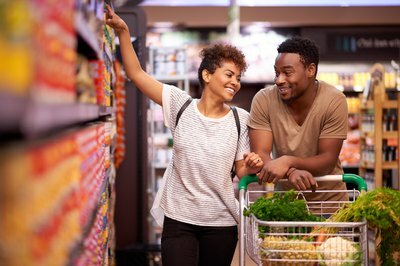 The Bureau of Labor Statistics found that in 2016, married couples allocated 11.8 percent of their annual spending to food. There are a couple of ways to determine how much you should budget for groceries. 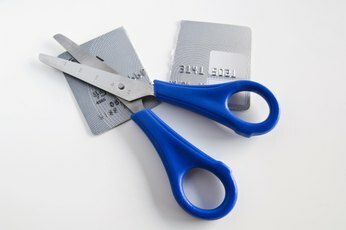 One option is to look at your past spending habits. Review your grocery store receipts or bank statements from the past few months and come up with your average spending per month. If you're looking at the past three months, for example, add up the total from every trip to the grocery store and divide by three. 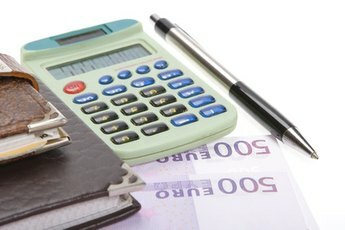 This will determine your average monthly spending. You can also look at your present spending habits. Keep track of how much you spend each time you go to the grocery store. Add up the total each month. After two to three months, you'll have a clear picture of how much you're spending. If you're spending more than you'd like to at the grocery store, there are a few ways you can save money. Meal planning, for example, can save time and money in the long run. When you meal plan, you can use recipes that build on each other. You can bake a chicken one night and use the leftovers for sandwiches or soup the next day. Meal planning also helps you build a shopping list, which can help prevent impulse buys. As a family of two, it can be a challenge to not overbuy. Buy too much produce, for example, and it can spoil quickly. Consider splitting larger purchases with family or friends. This is especially helpful if you like to shop at warehouse stores. You can buy those bulk packages to get the savings, but share them so everything gets used. Coupons and sales are another way to save at the grocery store. You can find coupons and store flyers online. To maximize savings, wait to use your coupons until the items you want are on sale. Some stores also double or triple coupons on certain days.